Clues for the Brown Bag Mystery Quilt, Check Please, will be available for pick up every other Saturday. If you can't make it in to pick up your clue, we will mail the clue to you the following Monday. 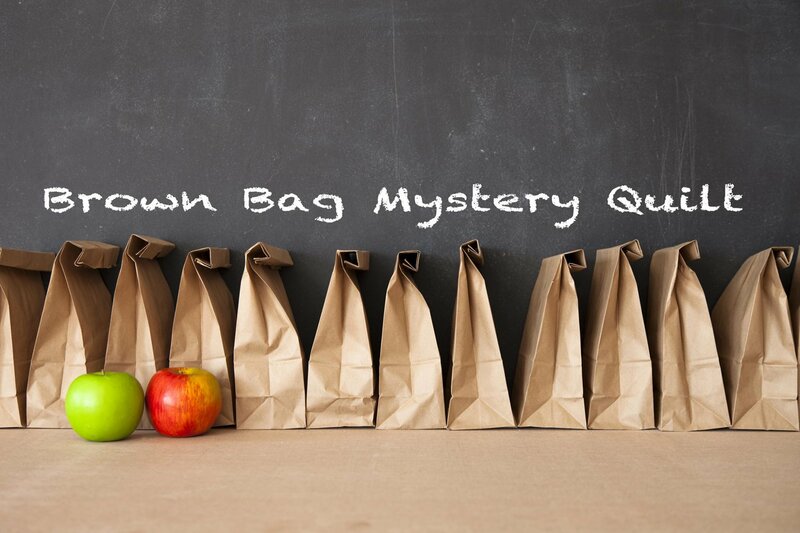 Be sure to sign up for the Brown Bag Mystery Reveal Party now to hold a spot. The cost of the reveal party covers your meal. The day will be filled with fun as we share our quilts in all stages of completion. It's a hoot to see how people handled their colors and pattern.